This evergreen shrub is about 4 ft square. 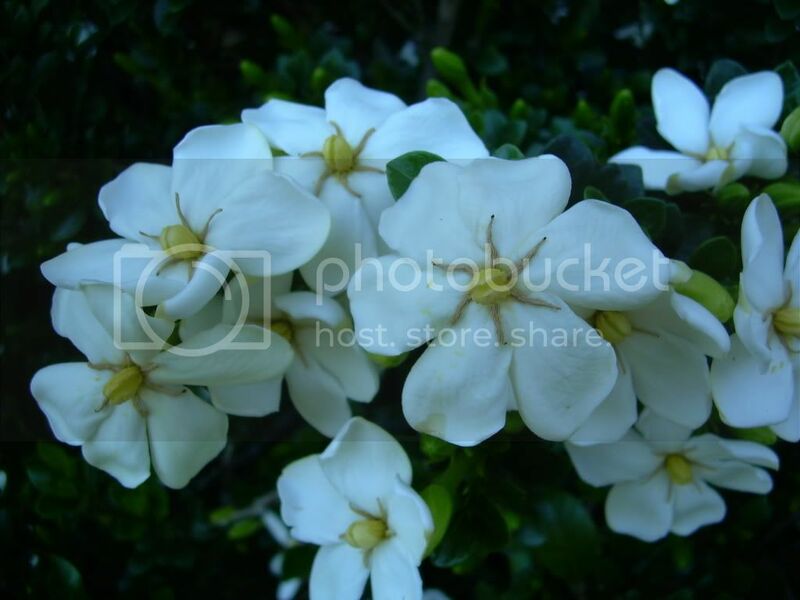 The petals on the white blooms bend somewhat backwards and grow at the ends of the branches only. 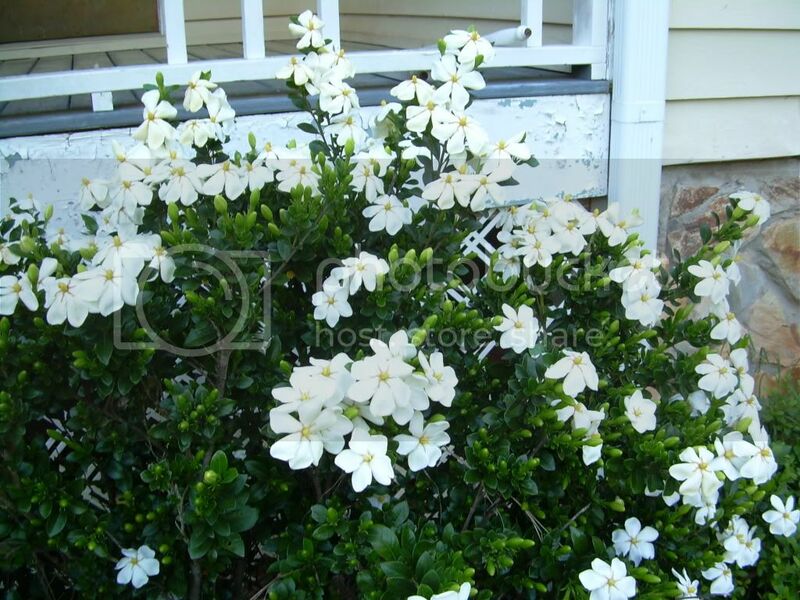 That is Gardenia duruma 'White Gem'.